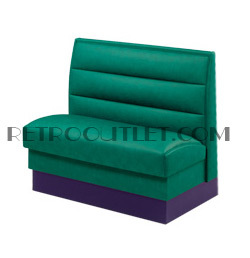 The Vintage Elite Diner Booth (Model EL-4300) represents a fully upholstered booth of classic design. 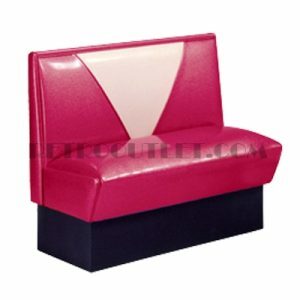 This booth features the “ELITE” back upholstered in your choice of contrasting vinyl. Please allow 4-5 weeks for production of your furniture, in your selected colors.